Este é um apartamento moderno, limpo e bem conservado, com 1 quarto com duas camas individuais e um sofá-cama duplo no salão. Nós pensamos que este é um local perfeito para a família jovem ou profissional e nós mantemos a ocupação para 2 mais 1, eu. Dois adultos e uma criança ou bebê. Um berço de viagem pode ser fornecido gratuitamente. Com uma moderna casa de banho limpa com chuveiro e uma cozinha moderna com fogão, máquina de lavar louça e máquina de lavar roupa, frigorífico, congelador e microondas, tudo o que você precisa. Como a água é solar e ar com todos os salões e quartos. Of all the apartments and hotel rooms that we have stayed in, in Cabanas, this was by far the very best. it had everything that you could possibly require for a comfortable stay, plenty of towels and linen available, extremely comfortable beds, well equipped kitchen with all paperwork available for all the appliances, well kept and clean pool area, which was a beautiful sun trap, proximity to three or four good restaurants and within walking distance to town centre for an abundance of snack bars, bars and restaurants. We will definitely return. 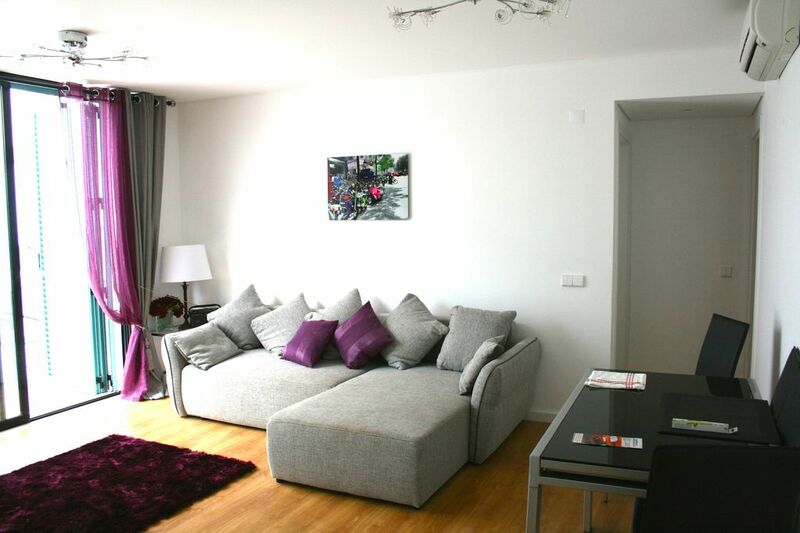 Excellent clean, modern comfortable property. Good walking distance from both train station and the coast to get on boat to go to the beach. Great pool as part of complex. Some construction can be heard during the day as building is ongoing in the area, but didn't bother us. Friendly and supportive hosts. Thank you for a great holiday! Very nice apartment had everything we needed in it. We had a lovely time great location and the pool was good with plenty of sun beds and nice cushions so very comfortable and quiet. There is some building work going on nearby which is a bit noisy but it didn't spoil our stay.